Inspired by gardens and parks, the SCS White Peacock is a highly symbolic and revered bird. 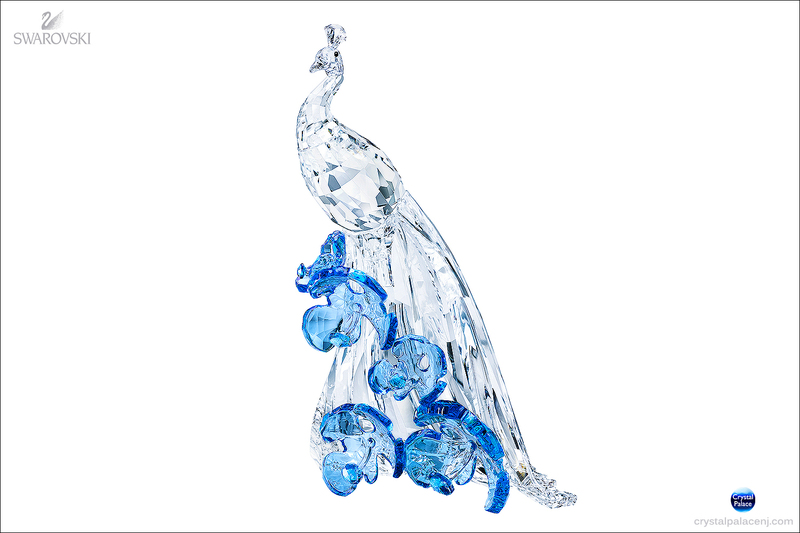 As beautiful as in nature, it is crafted in shimmering clear crystal and embellished with blue crystal flowers. Swarovski White Peacock perfect addition to the Annual Edition Peacock Arya, this creation is only available in 2015 and exclusively to SCS members.